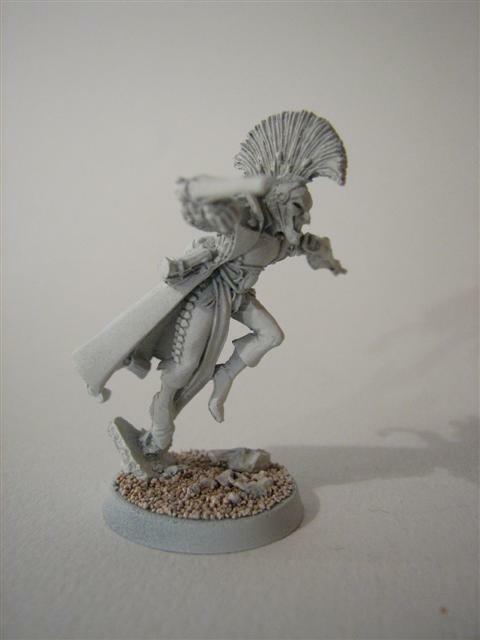 I have assembled three Harlequin Troupe Masters; one for each of my three troupes of players. They have a variety of armaments and are based on three different models. 1. 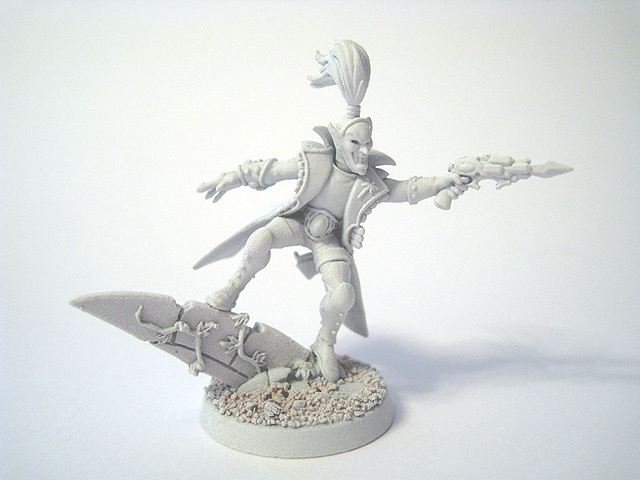 The first of the three Harlequin Troupe Masters has been modelled with a Harlequin's Kiss on his right arm. 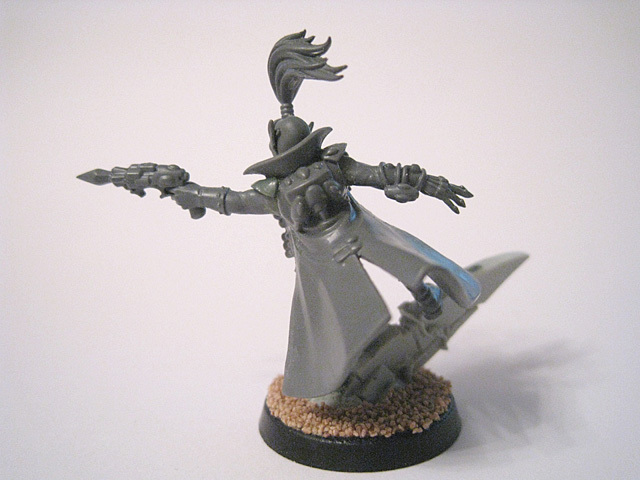 The right forearm was taken from another Harlequin model. 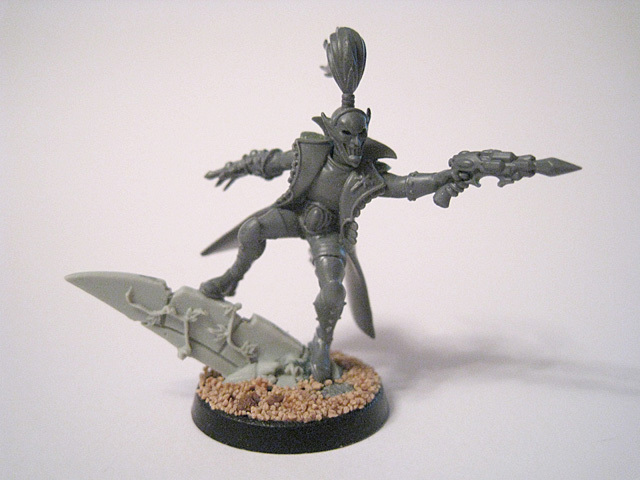 I used the legs from another Harlequin model instead of the usual jumping legs that go with this miniature. 3. The second Harlequin Troupe Leader from a different angle. 4. 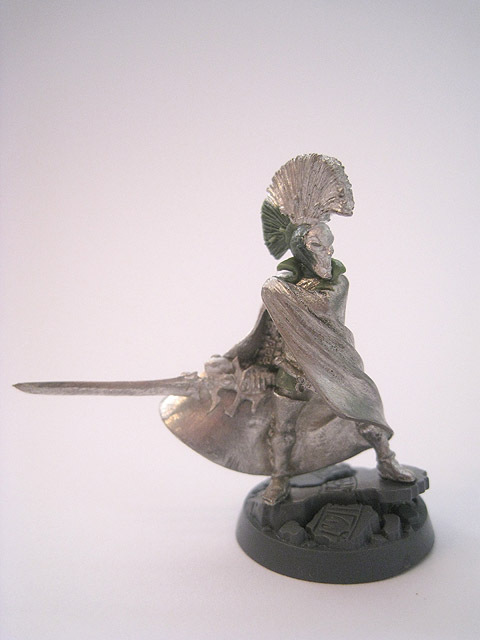 The second Troupe Master was converted from the fantastic Mordheim miniature of the High Elf Aenur, the Sword of Twilight. The high boots and the wide belt (with a gem in the centre) closely match the design of the usual Harlequin models, making this a great basis for the conversion. The head comes from the normal Troupe Master miniature. Green Stuff was used to fill in the missing details and extend the crest. 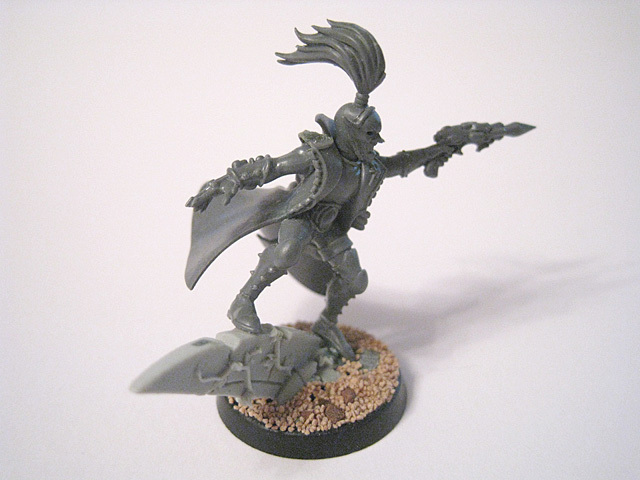 The original sword was cut away and replaced with this Eldar power weapon, taken from the normal Troupe Master model. The base is from the plastic Farseer miniature. Green Stuff was used to obscure the chainmail detail, creating a smooth tunic. 5. Close-up of the conversion. A high collar was carefully created in Green Stuff. 6. Rear view of the second Troupe Master. I elected not to recreate the flip-belt detail seen on the back of the standard Harlequin models; it is instead hidden beneath his cloak. 7. 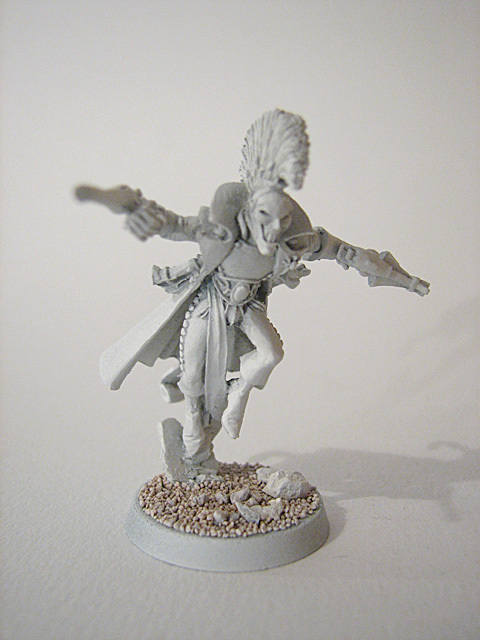 The second Troupe Master, undercoated in preparation for painting. 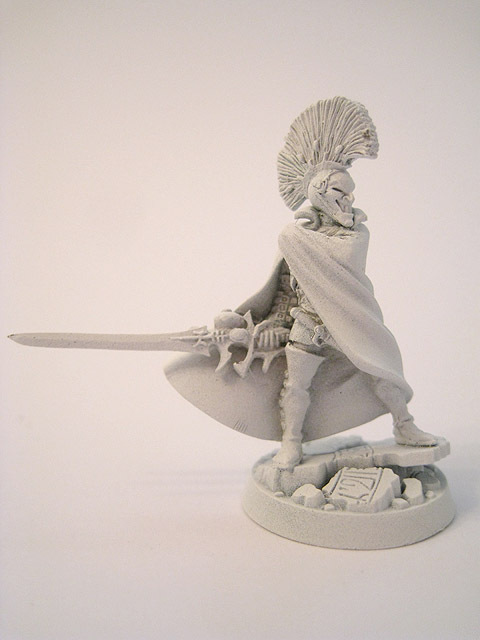 The scenic base element comes from the Illic Nightspear model. 8. The third Troupe Master is made from plastic components. A shoulder pad was modelled using Green Stuff. 9. Rear view of the final Troupe Master. 10. 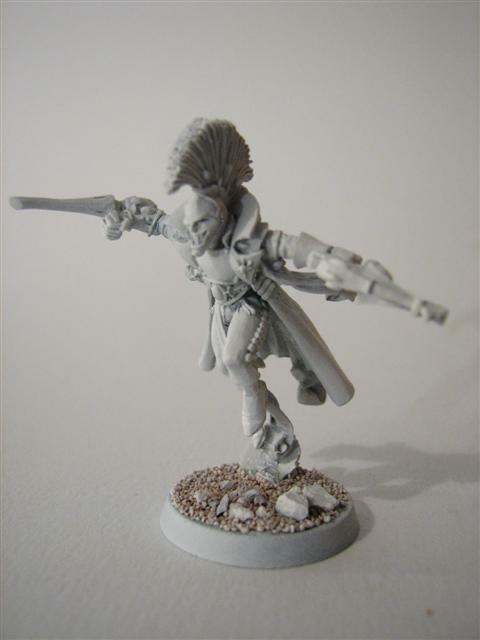 The third Troupe Master is armed with a Harlequin's Caress and a Neuro Disruptor. 11. 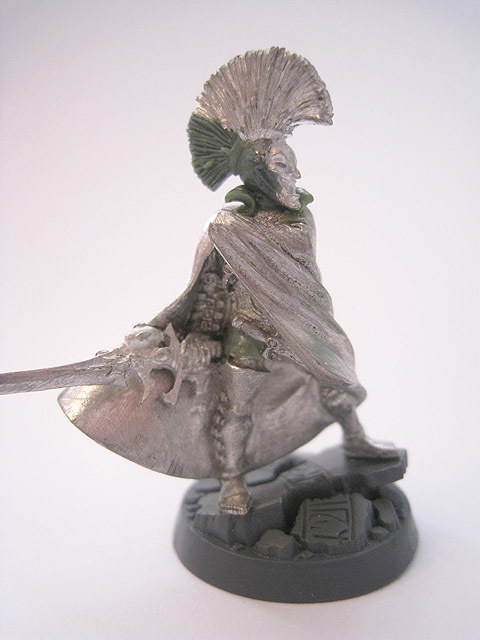 The third Troupe Master, after undercoating.